All month I've been sharing favorite camping spots, camping recipes, and other beautiful places to visit. Today, I'm pulling that all together into an itinerary for eight days of camping through two countries, three states, and two provinces. Starting in my home base of Seattle, Washington - this road trip will take you to Jasper, Banff, and Kootenay National Parks in the Canadian provinces of Alberta and British Columbia and to Glacier National Park in Montana. Part of our reason for moving to Seattle from Calfornia was it's close proximity to so many gorgeous natural places - all within about a days drive. Now, in this itinerary there are two pretty long drive days. Seattle to Valemount, British Columbia will take you about nine hours - more if you stop along the way to admire pretty things (or get lost while getting gas in Kamloops). The drive from West Glacier, Montana back to Seattle, will also take you about nine hours. 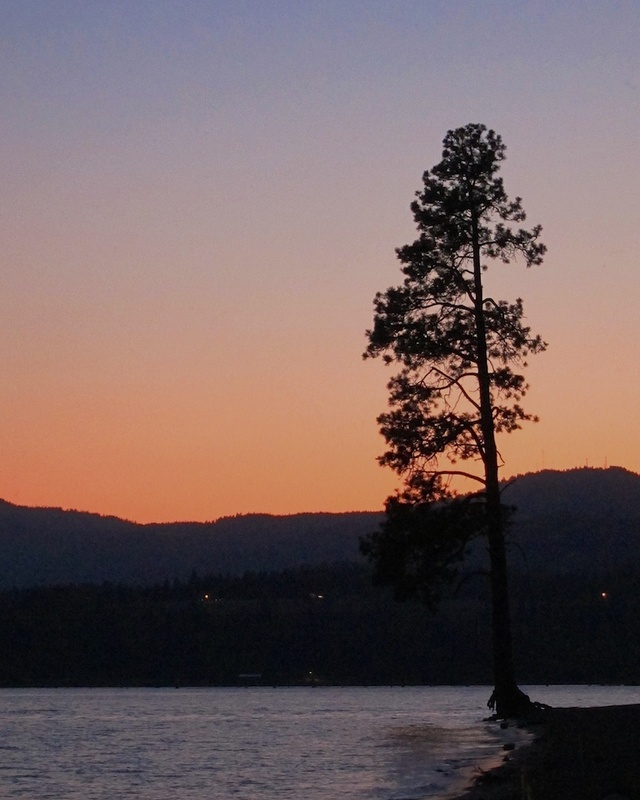 I'd highly recommend stopping for a night in Coeur d'Alene to break up that particular drive - plus the lake is beautiful and worthy of a stop just to take a quick walk along the shore. For each stop along the way I'll also include recommendations on where to camp, what to do once you're there, and a few gluten free friendly suggestions for picking up food supplies and treating yourself to dinner out. *There is also a Canadian Glacier National Park which I hear wonderful things about. Leave your fruit in the country you purchased it in (not necessarily it's country of origin). This was the only question we were repeatedly asked at the rural boarder crossings we drove through. Specifically, citrus. Pack your car in a smart way that works for you. For instance, we had our food coolers placed right by the side door of the car for easy access both on drives and so we didn't have to totally unpack at each stop. Treat yourself to dinner out at least once during the trip - preferably after the longest and most difficult hike you take. Stock up on fresh fruit and vegetables when you can. A crisp apple beats a dried one every time.